An East coast fever vaccination exercise in Mbeya, Tanzania (photo credit: Lwitiko Mwakalukwa). The lack of training for vaccinators has been a major obstacle in the delivery of the Infection and Treatment Method (ITM) vaccine for East Coast fever (ECF) in Tanzania. Without a recognized vaccination training institution, a curriculum and a system of accrediting vaccinators in the country, it has also been difficult to achieve a high and consistent level of vaccination services. Also, in the past, training was carried out by distributors who used their own resources to prepare vaccinators and in return, expected the vaccinators to buy vaccines from them. This model was unpopular because many vaccinators wanted to work with the distributors they preferred. Through a United States Agency for International Development (USAID)-funded project, ‘Scaling up the delivery of the Infection and Treatment Method (ITM) in Tanzania through facilitation of ITM delivery value chain’, the International Livestock Research Institute (ILRI) and partners have supported the training of over 200 vaccinators to double the number of trained vaccinators in Tanzania. 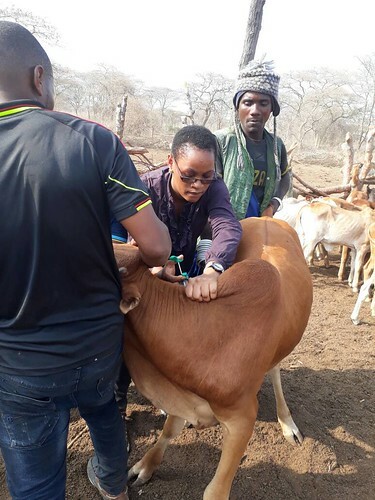 Working with the Veterinary Council of Tanzania, the regulator of veterinary services in the country, the project introduced the identification and certification of qualified vaccinators to improve service quality and increase customer confidence in the ITM vaccine. In a bid to institutionalize training of vaccinators to further standardize the quality of vaccinator training and manage vaccinators’ expectations, the project held a policy dialogue on 30 September 2016 with animal health stakeholders with the support of the director of veterinary services. Participants in the dialogue resolved that a government institution is best placed to carry out training for vaccinators in the country because such a public institution can uniformly train the required number of vaccinators the country needs, making it easier for the Veterinary Council of Tanzania (VCT) to assess sustainable quality training than if it was provided by a private entity. The Livestock Training Agency (LITA) was proposed to take up this role. Stakeholders in the dialogue requested the project to support LITA to become the national trainer for ECF vaccinators in Tanzania. Towards this goal, the project, which started in July 2015, has conducted a capacity and training needs assessment of LITA and agreed on a strategy to prepare the institute to be the trainer for ECF vaccinators. Additionally, in August 2017, 15 staff of LITA took part in a training of trainers’ modular course at the Kenya Agricultural and Livestock Research Organization (KALRO) in Muguga, Nairobi. They learnt about East Coast fever and other tick-borne diseases and the methods for treating and controlling them. Specifically, they were trained in immunization against ECF including how the vaccine is prepared, its economic benefits to farmers and carrying out immunization against ECF as a business. The trainees then visited the ILRI campus in Nairobi , from 28 August to 1 September 2017, where they were introduced to vector tick biology. Here they learned about research approaches for controlling ECF including tick identification, sampling of ticks from hosts and pasture, tick dissection to identify infected ticks, diagnosis of haemoparasites and serological and molecular methods of identifying Theileria infections. The LITA staff later participated in a related training from 25–27 September in Tanzania in order to become approved as vaccinators. The project team initiated a dialogue with the VCT to accredit LITA as a trainer for ECF vaccinators. The project will support LITA to conduct its first ECF vaccinator training in Tanzania on 4 December 2017.